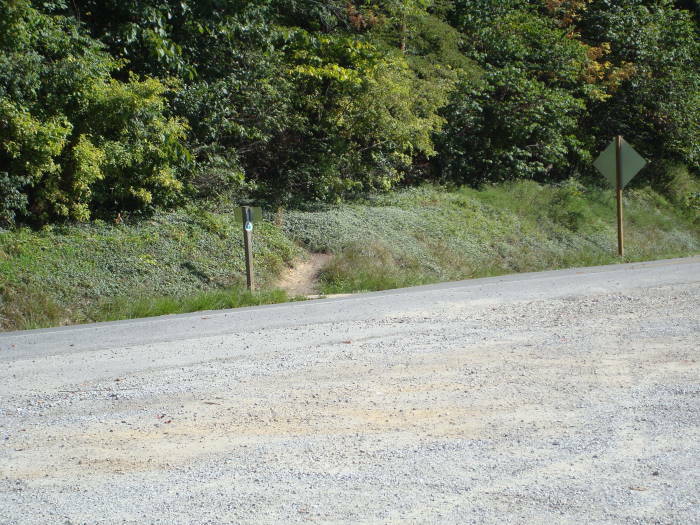 Cross VA 311 where the Appalachian Trail crosses the road. 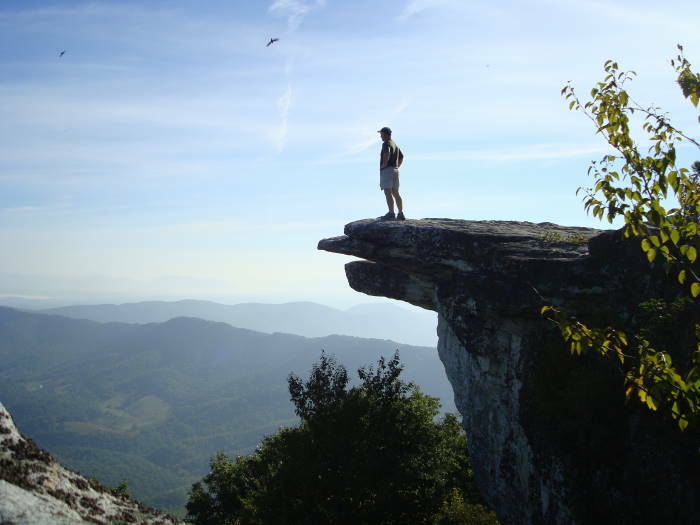 McAfee Knob is one of the most photographed spots on the Appalachian Trail (A.T.) as it winds its way through Virginia. 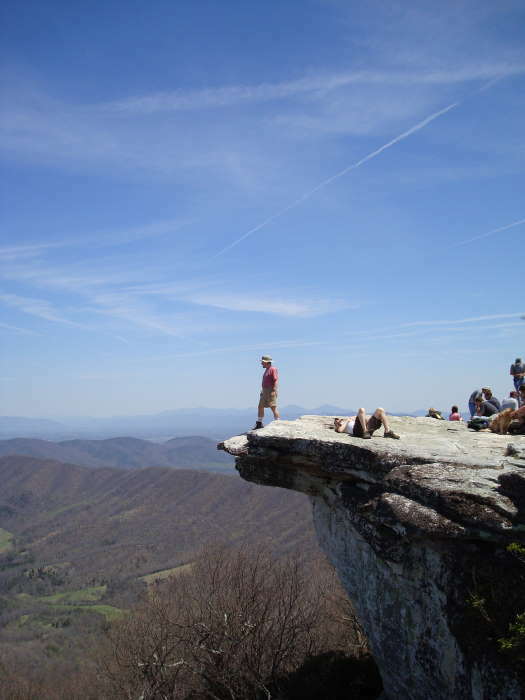 Roanoke.com states: “In Virginia, McAfee Knob is the Appalachian Trail's poster and postcard image. 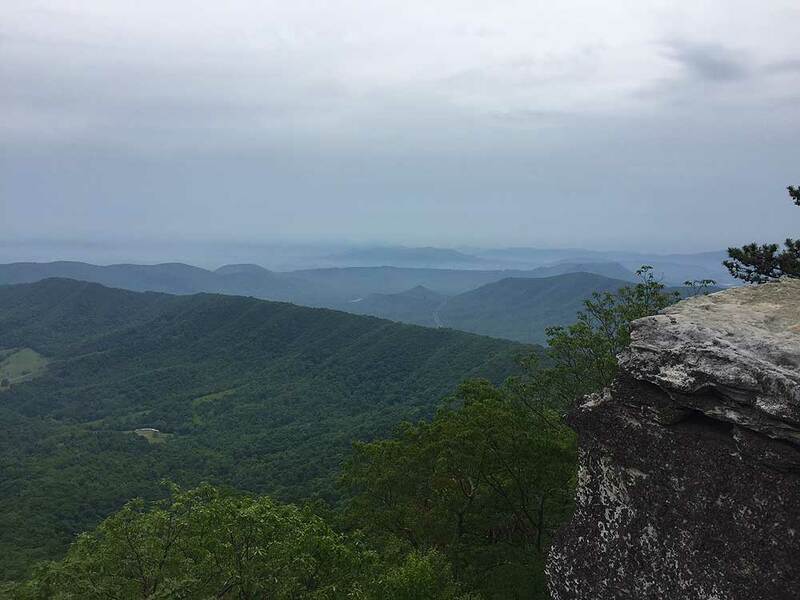 Pick up an Appalachian Trail calendar and there's a good chance it's there.” The Knob has an almost 270 degree panorama of the Catawba Valley and North Mountain to the West, Tinker Cliffs to the North and the Roanoke Valley to the East. 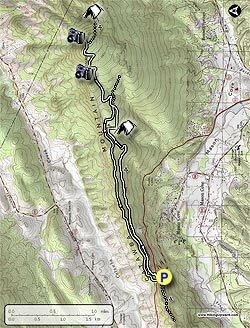 If you are going to do this as a backpack and plan on camping at the Pig Farm campsite or Campbell Shelter the total distance will be 9.5mls. 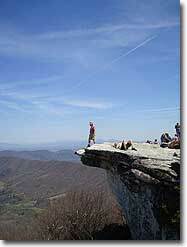 Please Note: During the last several years the McAfee Knob area has seen a significant increase in hiker traffic. 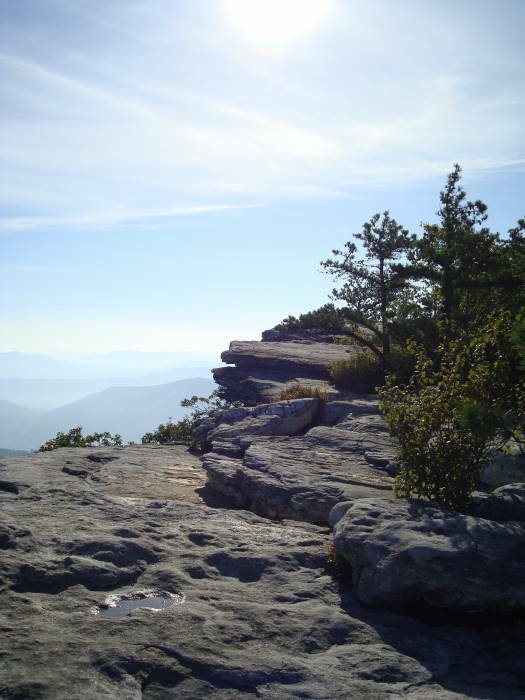 Please follow the Leave-No-Trace hiking etiquette. 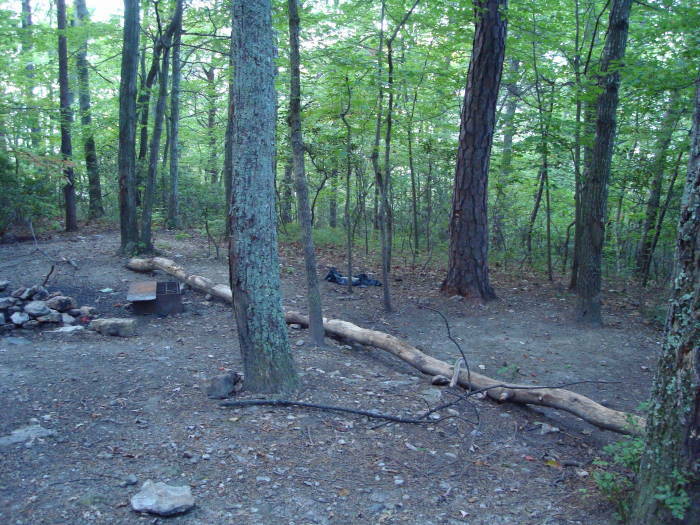 There are unique rules regarding group size, and camping for this area. 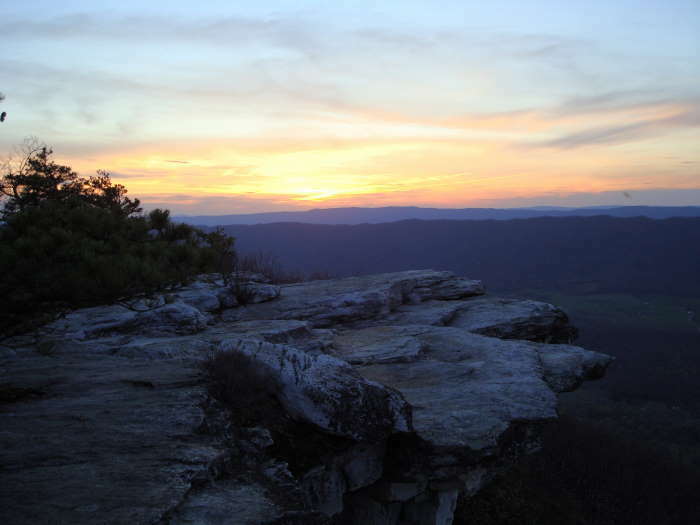 Please visit the Roanoke Appalachian Trail club page for full rules and regulations. 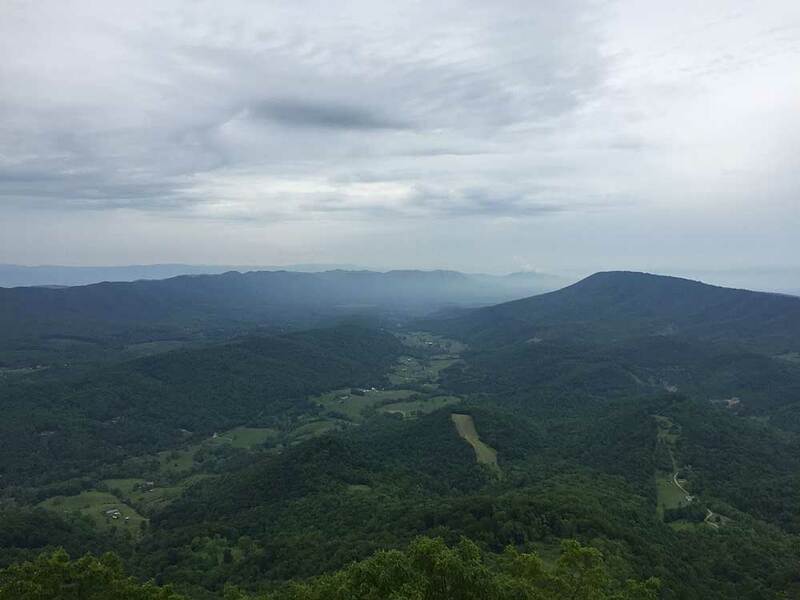 It is a steady climb of around 1700’ in about 4.4 miles to the Knob from the VA311 parking area so you will get a good workout. 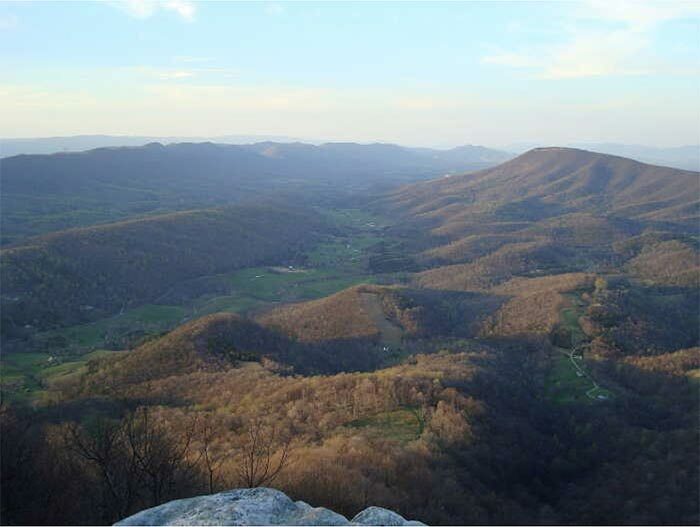 On a clear day you will have some of the best views in the Southern Shenandoah Valley. 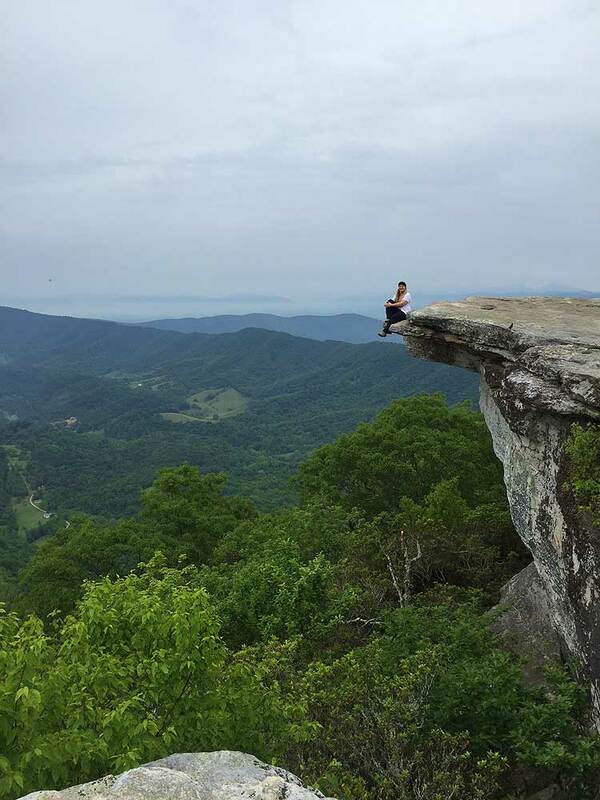 Due to its popularity you will not be alone on this hike, but the overhang of McAfee Knob and its views make up for the lack of solitude. 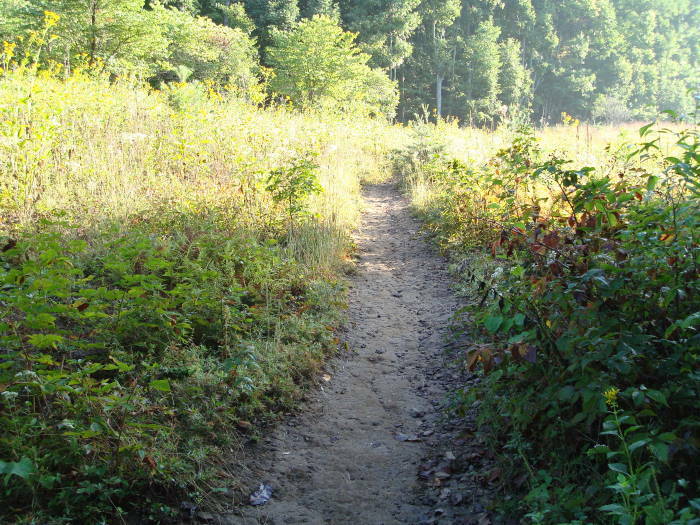 From the right side of the A.T. parking area, cross over VA311 where the Appalachian Trail crosses the road and pick up the white blazed A.T. north. In about 0.3 miles there will be an information kiosk on the left. Continue on the A.T. crossing four wooden walkways prior to reaching the Johns Spring Shelter on the right in 0.8 miles. 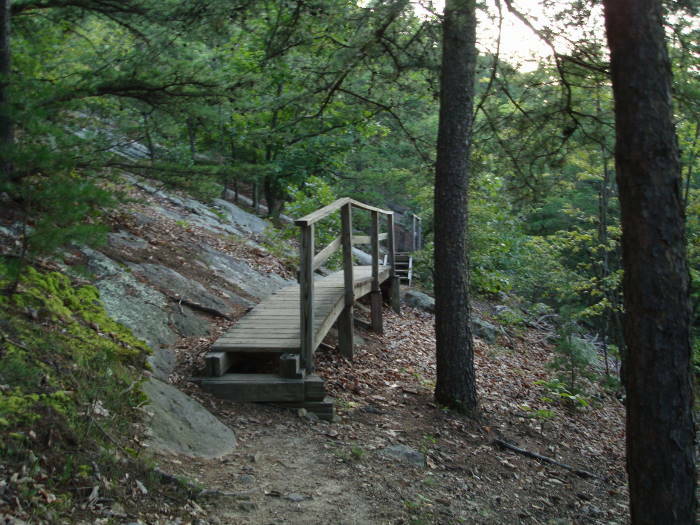 There will be another five wooden walkways before reaching the Catawba Mountain Shelter in 1.4 miles. 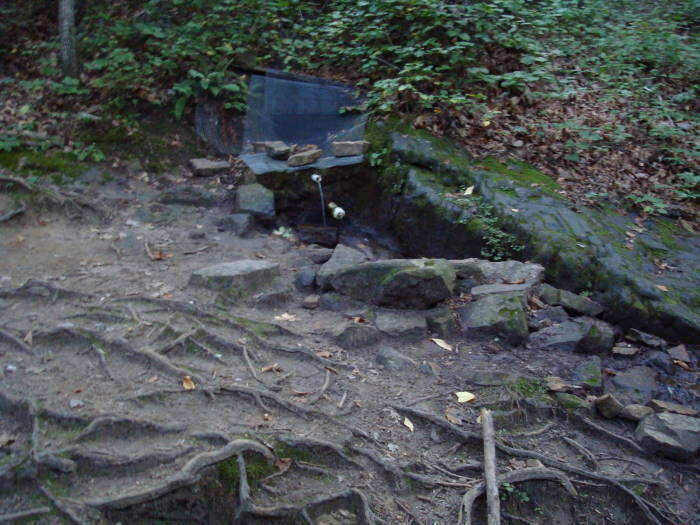 In less than 0.1 miles before the shelter on the left, you will notice a spring with a white pipe protruding from some rocks with a constant stream of water (note: always treat water from unknown sources). Staying on the A.T. for another 0.1 miles arrive at two good camp sites, the A.T. bears to the left just before the camp sites. 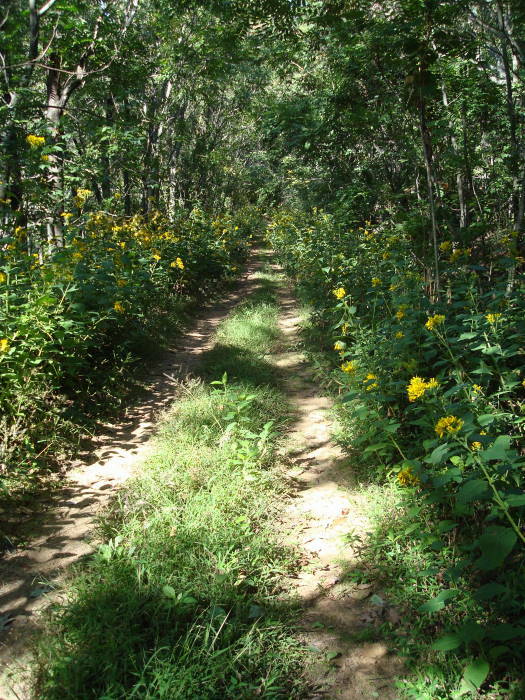 Remain on the A.T., crossing an old fire road and going through a high voltage power line clearing. 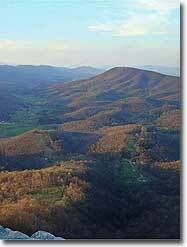 In 0.3 miles past the power line clearing there will be the first good overlook on the left looking down to the Catawba Valley. 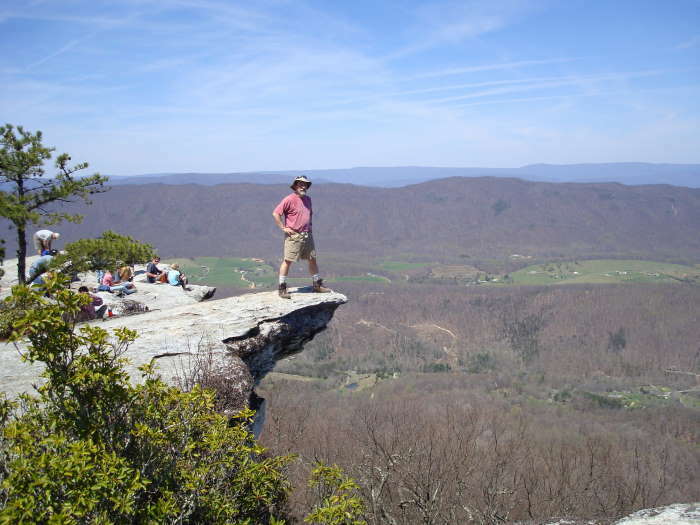 Go 0.5 miles further up the trail to the McAfee Knob Spur Trail. 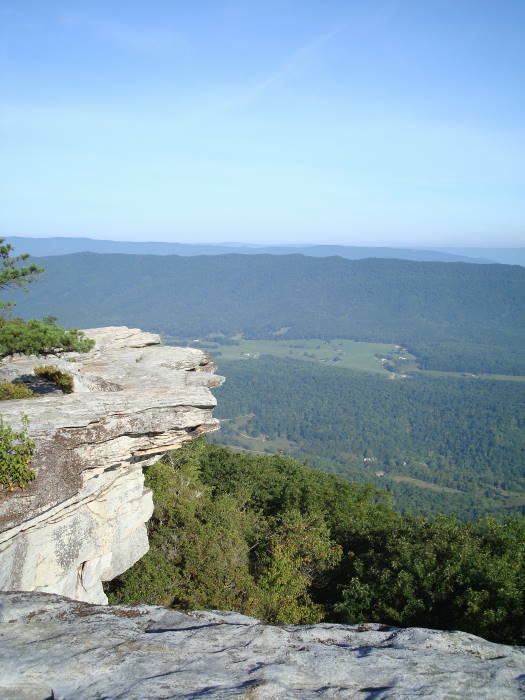 Turn left, and in about 30 yards you will reach the top of the Knob with some outstanding views and of course, McAfee Knob protruding out well beyond the rest of the cliffs. There are significant drop offs so be careful. For your return trip; retrace your steps and head south on the A.T. back to the parking lot for a round trip total of 8.8 miles. 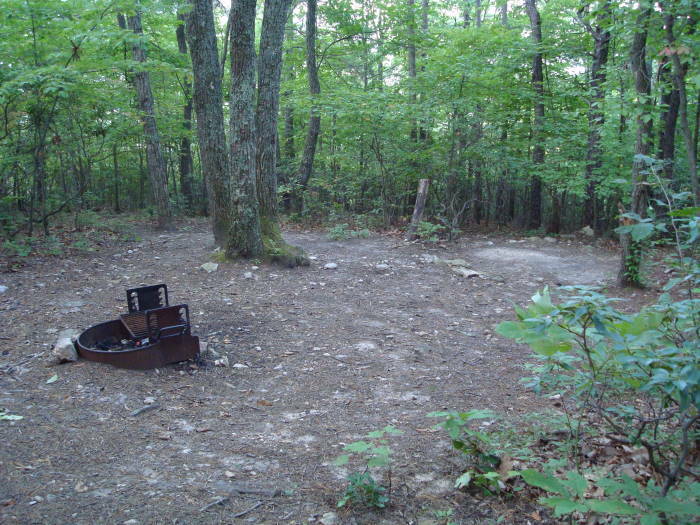 Camping/Backpacking Note: If you are doing McAfee Knob as an overnight backpack, from the McAfee Knob spur trail turn left onto the A.T heading north for about another 6/10 of a mile until you reach the Pig Farm Campsite with room for about 4 good sized tents. 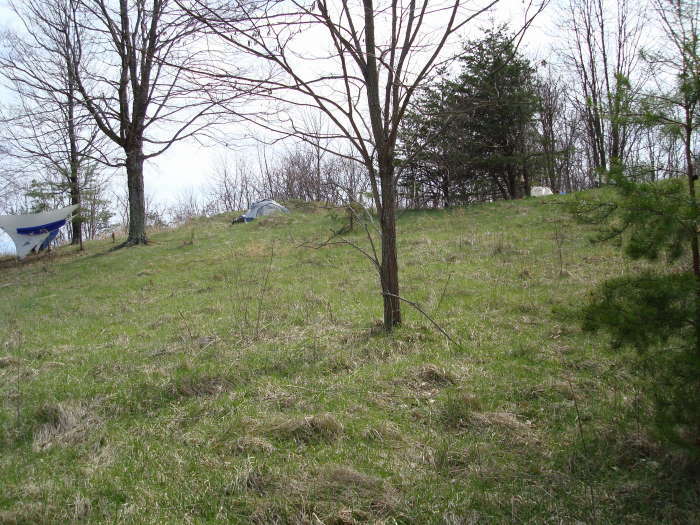 In less than 1/10 of a mile after that you will reach the Campbell Shelter with ample campsites and a Privy. 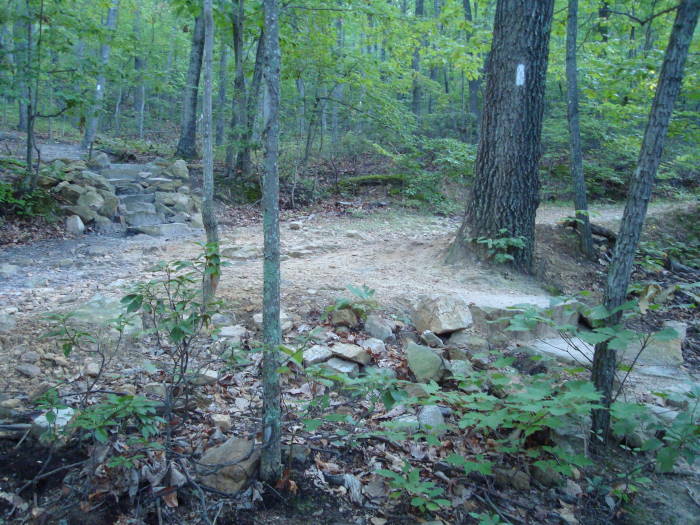 The water source is a creek about 1/10 of a mile behind the shelter following a path under the power line and ending up on a fire road. 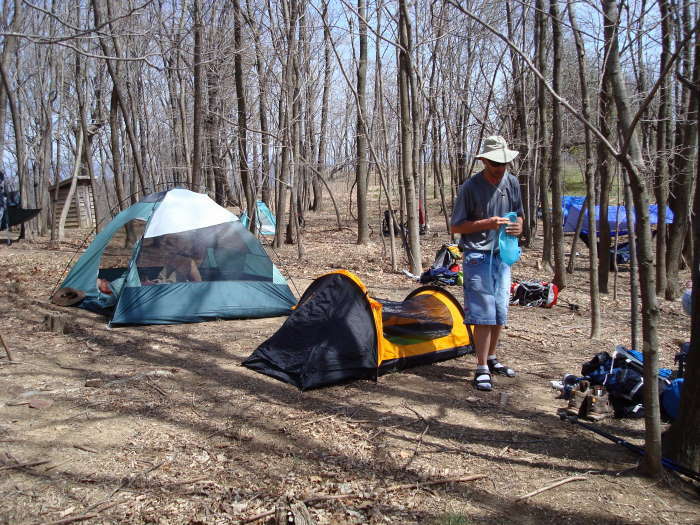 There are also some good campsites in a grassy meadow on the way to the water source. A path from the Pig Farm Campsite also leads to this water source. 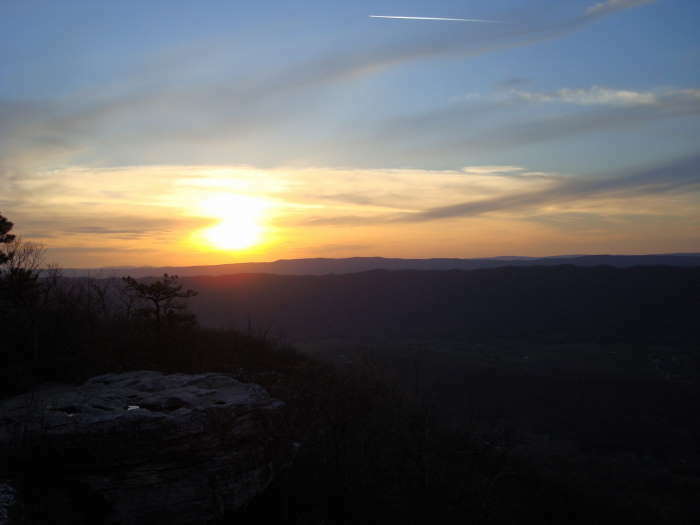 Staying near the Campbell Shelter overnight made it possible to hike back up and see a beautiful sunset from McAfee Knob. 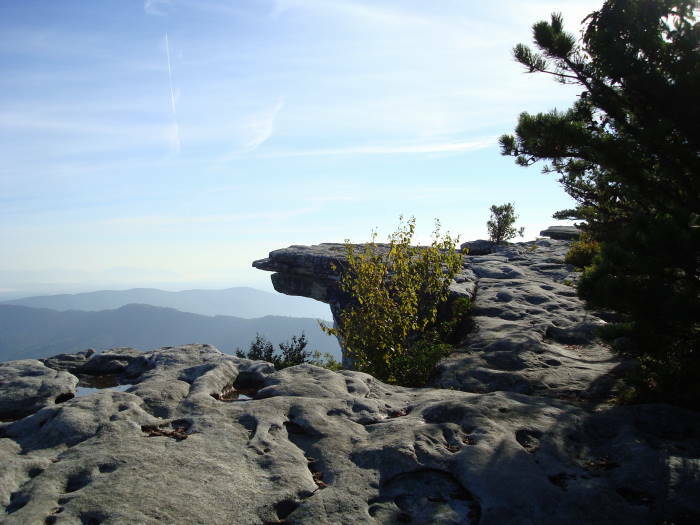 No camping is allowed on the immediate area surrounding McAfee Knob. 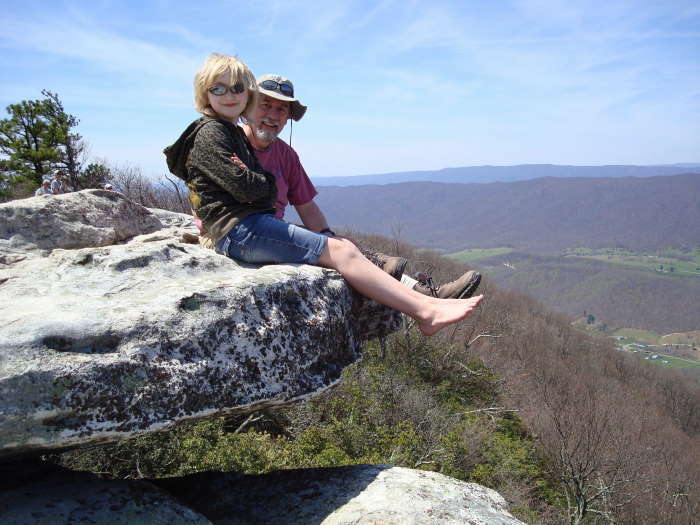 Please review the rules and regulations regarding camping at the Roanoke Appalachian Trail club page. 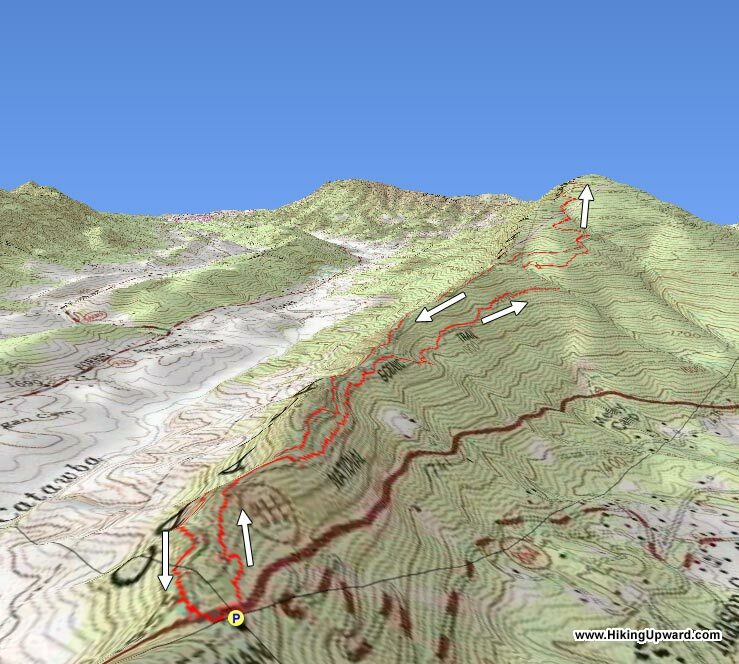 Hiked this trail on a cold (mid 30s during day and upper 20s that night) but clear and sunny day in January. We took backpacks with several bottles of water each and a bunch of junk food. We took flash lights and headlamps for the walk home after sunset, and a few basic outdoors safety items like ponchos and chemical hand warmers. We encountered about 15 people coming/going and at the top. 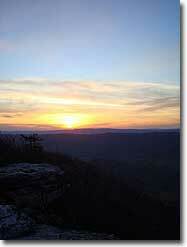 It was nice seeing others while hiking, while still having plenty of privacy and feelings of solitude. The parking lot obviously wasn't an issue, which is one of the reasons we wanted a winter hike. Low volume of others and easy parking. We hit the trail at about 13:00. My daughter is 11, so we weren't fast but still hit the top by 16:00. We really did take our time and stopped to look around a lot on the way. An hour walking around at the top and taking pics was plenty of time... though we hung out a bit longer so we could walk back in the dark with all our personal lighting gear. We are both flashlight dorks and looked forward to the night hike about as much as we looked forward to reaching the Knob. With a good headlamp, even the rough parts of trail were fine for walking at night. Be sure to check out all the areas around the top though. Several are a bit off the path and take a few minutes of searching to locate. You can get some great views by looking around a bit and not just stopping at the first photo opportunity up there. Feel free to contact me if you have questions. Im not an expert, but would be happy to share what I know. Absolutely beautiful views. Nice strenuous hike. Even if it's in summer, the tree canopy provides shade. 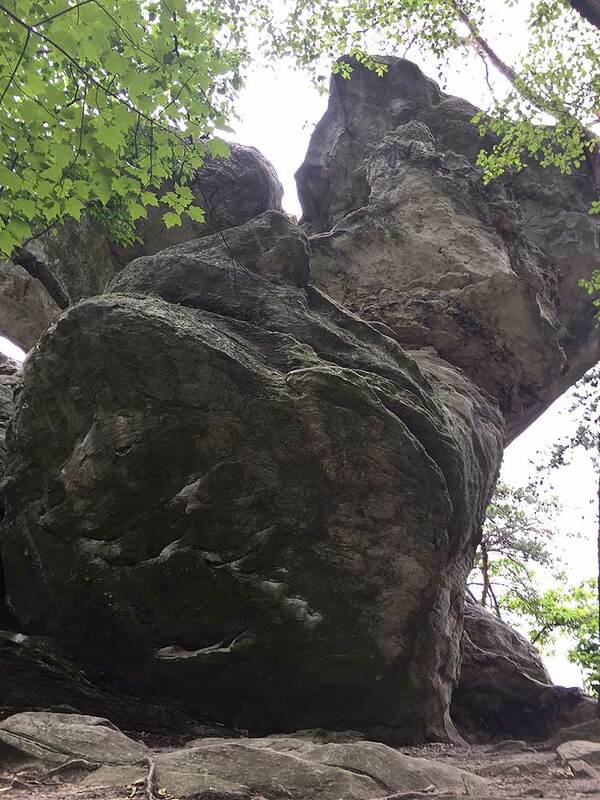 Fantastic hike! We went on a Friday and were the first car in the parking lot at 9:30AM. 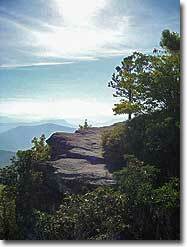 It took us just under two hours to get to the top, using the Appalachian Trail. We moved a pretty good pace, but did stop a several times to take photos along the way. The trail was still partially to fully covered with snow, but the trail is marked well so it was never an issue. 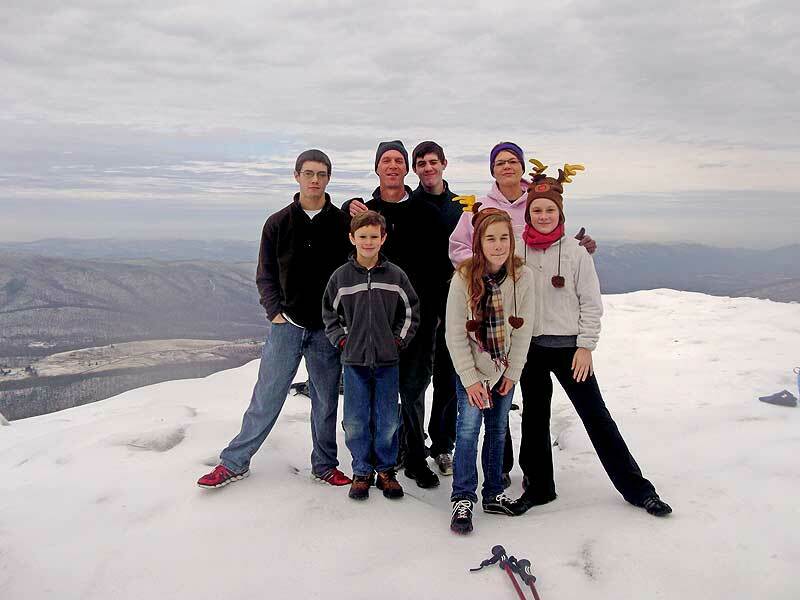 We happen to be the only ones at the top that morning, but met half a dozen people on our way down. Snow and ice made the trail slick in a few spots (I did fall a couple times), so just be mindful of your footing. I've done this hike a couple of times and it is definitely a favorite. 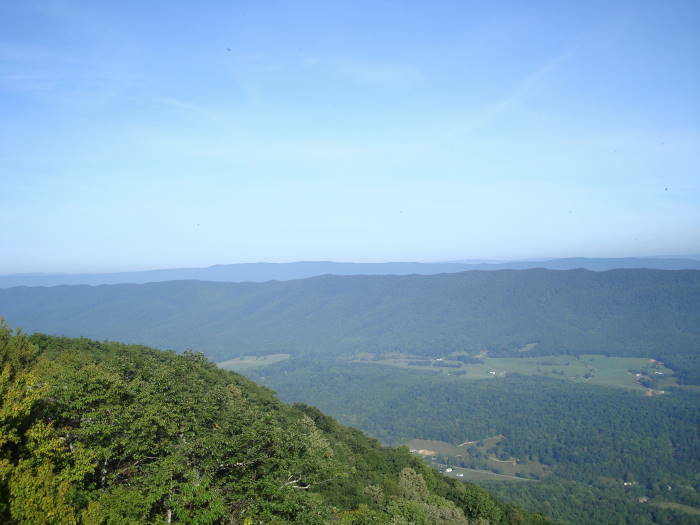 This is a popular hike in the area with a lot of people on the trail and at the top, particularly on the weekend. 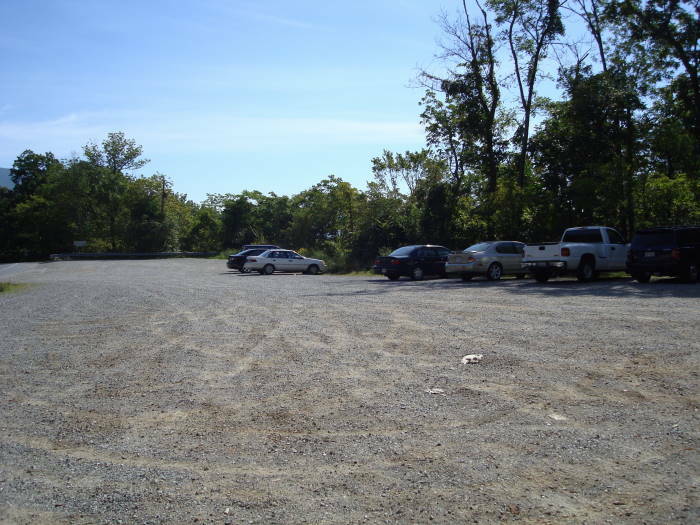 The parking area will most always be overflowing with cars on a Saturday. It usually takes me one and a half to do the trail one-way, so about 3 hours total, plus however long we spend at the top. 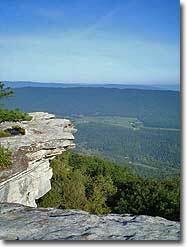 Not a very difficult hike IMO - just a gradual climb up to the overlook. Obviously, the fire road is slightly easier than the AT, but the two pretty much parallel each other and I didn't find either way terribly difficult. 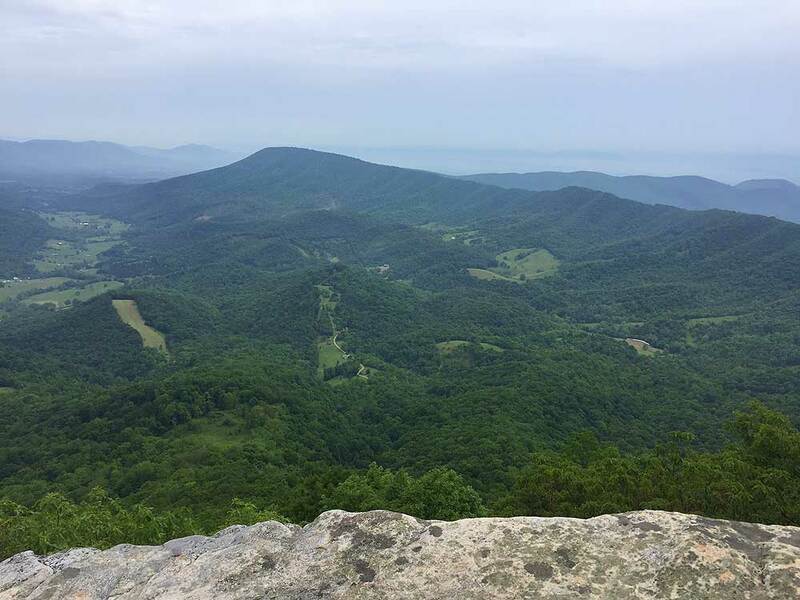 The last time I hiked it, we went up the fire road at night in the dark and camped overnight at an AT campsite, which is about 6/10 of a mile past the overlook (Camping at the overlook is not allowed, but the Campsite overlooks Roanoke and is pretty cool to see at night). We woke up before dawn and went to the overlook to watch the sunrise - that was easily one of the coolest experiences of my life. 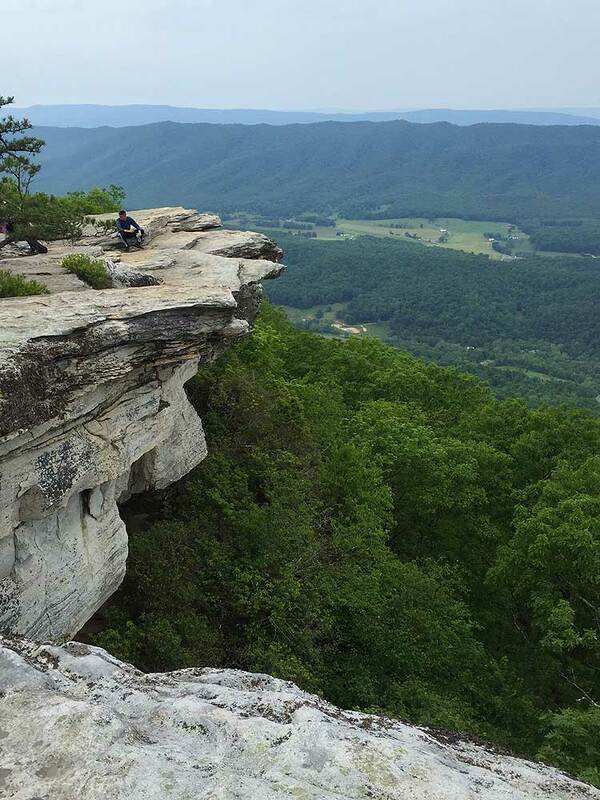 This hike definitely needs to be on your to do list. 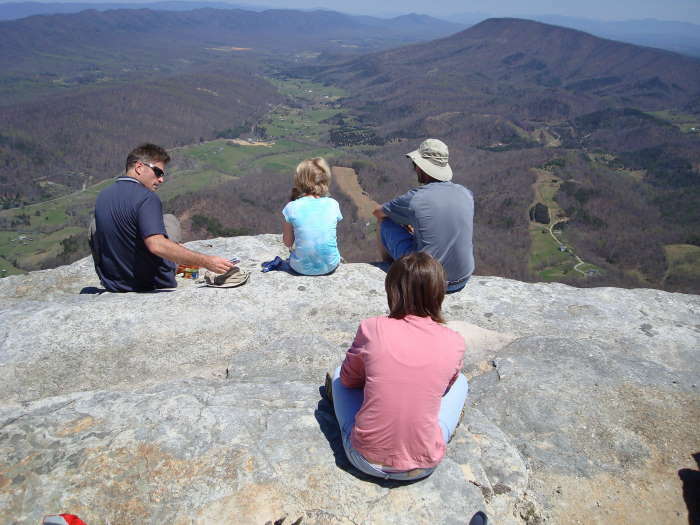 My husband and I had been wanting to do this hike for awhile and decided the kids were ready to tackle it. We have three daughters, twins that are 9 and the youngest is 6. We do a lot of hiking with them and all three managed this hike just fine. We took the AT up and fire road on the way back to the 311 parking lot. We did this hike on a Sunday and the parking lot was nearly full at 6:50 in the morning. The whole thing took us about 6 1/2 hours but we spent about an hour at the top to have lunch and take a few pictures. There were only a few people on the trail early in the morning, but it was very busy on our way back. For us, with the kids, this was more about endurance than actual skill. I'd be lying if I said they weren't tired by the time we reached the car, but they didn't complain once. We had a great time and will be back.